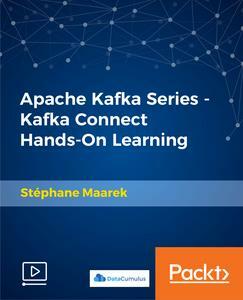 A comprehensive and new course for learning the Apache Kafka Connect framework with hands-on Training. Kafka Connect is a tool for scalable and reliable streaming data between Apache Kafka and other data systems. Apache Kafka Connect is a common framework for Apache Kafka producers and consumers. Apache Kafka Connect offers an API, runtime, and REST service to enable developers to define connectors that move large data sets into and out of Apache Kafka in real time. It inherits strong concepts such as fault-tolerance and elasticity thanks to being an extension of Apache Kafka. Kafka Connect can ingest entire databases, collect metrics, and gather logs from all your application servers into Apache Kafka topics, making the data available for stream processing with low latency. Kafka Connect standardises the integration of other data systems with Apache Kafka, simplifying connector development, deployment, and management. In this course, we are going to learn Kafka connector deployment, configuration, and management with hands-on exercises. 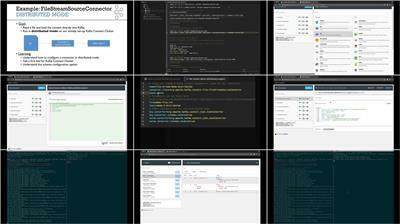 We are also going to see the distributed and standalone modes to scale up to a large, centrally-managed service supporting an entire organisation or scale down to development, testing, and small production deployments. The REST interface is used to submit and manage connectors to your Kafka Connect cluster via easy to use REST API's. Kafka Connect standardises the integration of other data systems with Apache Kafka, simplifying connector development, deployment, and management.